Autoguard Warranties Limited is pleased to be able to support a nationwide initiative to support and celebrate individual and business achievements across the dealership spectrum, regardless of their size. We have always believed that small and medium size dealerships should have the same upselling and profit-making opportunities as the larger franchise dealers have. 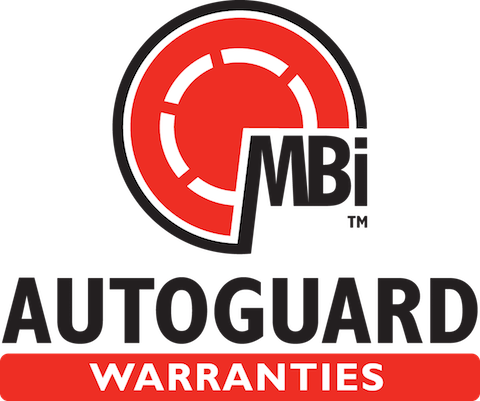 Autoguard Warranties Limited is one of the largest providers of extended vehicle warranties and Motor Trade Insurance products in the United Kingdom today. By working closely with motor dealers, we offer a wide range of bespoke warranties and competitive insurance products to buyers of used cars, vans, motorcycles, caravans, motorhomes and HGV’s. "As the newly formed Independent Motor Dealers Association (the IMDA) we are delighted to be involved with these fantastic awards. Our 4 core Pillars at the association are The Voice, Buying Power , Support & Recognition , therefore it will be an honour to present the ‘ Used Car Dealer Excellence Award’ to a deserving dealer which reinforces our ‘Recognition’ pillar. We are a ‘Not-for Profit’ Association set up by Dealers for Dealers to safe guard the interests of Independent Motor Dealers & Franchise owner drivers by providing the latest information and advice surrounding legislation & compliance. We will also be supporting these dealers through the complex areas of taxation, accounting & the Consumer Rights Act and providing benefits through Cooperative Buying Power and by Providing THE Voice when it comes to Lobbying large Corporates & Government." As the UK’s fastest growing online ‘real-time’ trading club we are delighted to be supporting these superb awards. With a 4000-strong audience made up of franchised and independent dealers we are certain that some of our members get shortlisted, as we have some of the industry best as members. Our experience in the online trading field is unrivalled which is why more and more professional dealers are signing up to our service every day and seeing the huge benefits we bring to their business. From franchise dealers to recovery operators, auction houses to independent motor trade professionals, we provide car insurance for motor traders of every shape and size. We work independently with all the major insurers, which means we can offer you an insurance package that’s perfectly suited to your needs. 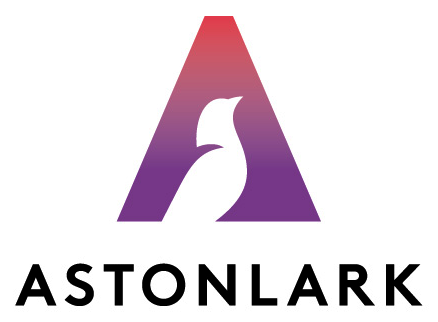 We also complement our offering for motor traders with a comprehensive risk assessment, provided exclusively through AstonLark Risk Management – part of the Aston Lark group. We have specialist teams set up to handle every type of motor business. If you’re a small, independent trader looking to simply cover your road risk, our ‘Road Runner Motor Trade Insurance Scheme’ could be ideal. If you’re an independent trader with a larger turnover, or a large dealer or auction house, you’ll require more comprehensive cover – and, our motor trade specialists are on hand to help. Farncote is delighted to part of the Auto Industry Excellence Awards. With over 25 years in the motor trade it’s great to see an awards ceremony that recognises all types of retail outlet – not just the franchised dealers. 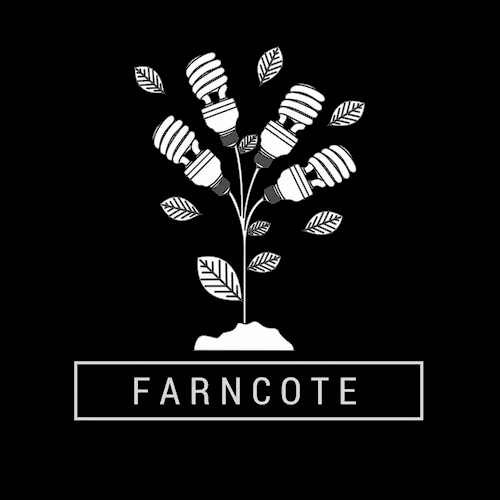 With customers’ buying habits changing, demands from OEMs and the fast-changing world of technology, Farncote helps retailers source and implement IT solutions that saves money, makes retailers more efficient and instils a robust infrastructure for the business. From broadband to cloud, DMS to telephony, as independents we put together a technology strategy that is aligned with your business goals and always delivers value. "It gives us great pleasure as award sponsors to support the Auto Industry Awards and celebrate outstanding achievement within the automotive industry. With a focus solely on automotive, we provide a range of marketing solutions designed to make our clients day to day lives easier. We started 67 Degrees on a foundation of over 30 years industry experience and with passion at the forefront of everything we do. We strive to provide the highest level of support and guidance to our clients whilst creating award-winning, innovative and engaging marketing products and services. If you're striving for the best and are looking to make waves in the industry, then your business and ours are a perfect fit. Please call 01273 388 086 or visit us at 67degrees.co.uk for further information." As an employer in the Automotive Sector, building a great team is critical to success and growth. So, being nominated and recognised as an “excellent employer” in 2019 is a truly great accolade. Live at 3 - an innovative and unique team boosting event - is delighted to be sponsoring this award as part of this prestigious event. Motivation of a team comes largely from how well they feel recognised and engaged and therefore the Employer Excellence award recognises businesses that exemplify being an employer of choice. 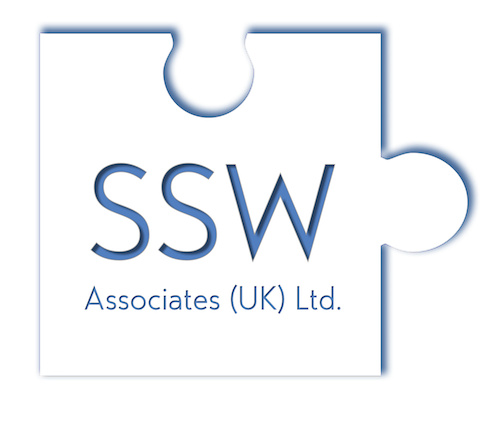 The Car Retailer Aftersales Excellence Award is sponsored by SSW Associates (UK) Ltd, automotive training and coaching specialists. Continuous improvement through a commitment to the development of knowledge, skill and attitude is vital for the fast-paced, challenging world of automotive businesses. SSW Associates (UK) Ltd is proud to be sponsoring this award. Andy Savva, The Garage Inspector, is delighted to be sponsoring The Repair Garage of the Year Award. Andy has been involved in the automotive industry for more than 33 years, owning and managing award winning successful garages since 1994. Andy now runs a consultancy practice working with both aftermarket and retail organisations specifically in the garage sector. Andy was elected Fellow in 2008 of The Institute of The Motor Industry (IMI) and recently served 5 years on The Independent Automotive Aftermarket Federation Board as a council member and Vice President. Andy is a frequent passionate industry speaker and his automotive business articles are regularly published in a variety of automotive trade publications. Sentience International Ltd is a boutique automotive consultancy, formed in 2016 by Ali May-Khalil, with the vision of providing the Automotive industry with a fresh, honest and real approach to driving sales and profitability. Having got the T-Shirt, it was felt the training and consultancy approach was given a shake-up. Real people, with real experience, delivering real results; on the ground, in the thick of it and in partnership with our clients. We get stuck in, we lead by example, we are not afraid of the tough conversations, we care about our clients and we work alongside them to get them where they want to be. We are obsessed with exceeding our clients expectations and have a terrific amount of fun doing it! MotoNovo is one of the UK’s fastest growing independent finance companies, helping thousands with vehicle financing and insurance options. We are changing the face of car buying and selling with an innovative car-aggregator site and have been recognised as industry leaders in the car finance industry. Our impeccable reputation for delivering high standards and innovative products, services and support to our dealers drives our passion for ensuring that the dealer finance industry remains vibrant and sustainable in today’s highly competitive and rapidly changing market. Warranty Direct was founded in 1997 and has grown into an industry leading provider of insured motor warranties. All new cars come with a manufacturer warranty and this, minus a few exceptions, will cover anything that goes wrong with the car within that timescale. Once the manufacturer's original warranty expires, the customer is on their own to pay out for any unexpected repair bills. Using our vast experience, Warranty Direct provides a hassle free way for you to extend your protection against mechanical or electrical breakdown, and help ease the burden on your bank balance if your car goes wrong. Northridge Finance, a division of Bank of Ireland UK, is one of the most trusted finance partners in the UK finance industry today. For over 60 years, our trusted reputation is built on listening and delivering real solutions. We are relationship led, building products and partnerships for the long-term while maintaining a transparent and customer focused environment. Northridge provides personal and commercial finance serving the Motor, Agricultural, Insurance Premium and Leisure finance markets. Specialising in motor finance, we want to work with you in partnership; concentrating on adding value and providing the extra service that makes all the difference to help you grow your business. EMaC work in close partnership with vehicle manufacturers and dealerships to strengthen their aftersales relationships with their customers, creating positive experiences that lead to increased loyalty and greater revenues. We call this ‘Ownercare’. The core of our business is service plans: with a live book of 1.6 million customers we are the acknowledged UK leader, trusted by 15 of the world’s foremost vehicle manufacturers. We use reliable, highly evolved platforms to integrate our systems with our clients’ and offer customer service that is second-to-none. In 2017 we estimate that we created over a quarter of a billion pounds worth of potential revenue to our dealer partners. We’re delighted to announce Leadspring as an official sponsor for the 2019 Auto Industry Awards. The decision for sponsoring the ‘Independant Repair Garage Website Excellence Award’ was easy. The team here at Leadspring wanted to be a part of an awards ceremony that recognises and highly commends the success of a wide variety of different businesses across the automotive industry. We acknowledge the hard work and dedication involved in running every type of motor business, as this is what contributes to the extensive network that keeps our industry moving. Leadspring provide simple but effective website solutions and digital marketing to motor services and garages which allow them to run their entire business from one single location as well as drive them more enquiries. Spidersnet is an award-winning web service provider, stock broadcaster, lead generator, and digital marketing agency for the automotive industry. We pride ourselves on our ability to offer website packages for every type of automotive dealership. Whether you’re a small independant dealer or a large multi-franchise business in search of something completely bespoke – we can create something powerful for you. It’s our mission to not only provide cutting edge websites and great customer service, but also to ensure you have an arsenal of digital marketing solutions at your fingertips to help you drive leads to your forecourt. Oodle Car Finance is on a mission to change the way people buy cars. Over the past two years, Oodle has established themselves as a major player in the used-car sector, a market now worth over £50 billion. Oodle caters to all corners of the industry, using cutting-edge digital technology to facilitate the most seamless experience for both car buying customers and our best in class Dealer partners. Since launching at the end of 2015, Oodle have received over £3.6 billion worth of finance applications, and financed more than £257 million. By constantly striving for better, Oodle’s ultimate aim is to create a 100% automated lending approval process, to ensure the used-car market catches up and surpasses the digital revolution. At GBB Coaching & Consultancy we don’t just offer training solutions. As an agency, we say ‘bring your problem to us, and we will match the right content and delivery style to your business.’ We always start by understanding who you are, what you need, and what you want to achieve. Our courses and programmes are designed with customisable elements, which make them feel completely unique to your brand, without the price tag of a traditional consultancy service. We never pretend we are writing everything entirely from scratch, all our training programmes are based on our library of proven models and principles. Our coaching style means we take what people are already good at, and help them get better at it. By arming people with the skills they need in sales, customer service and leadership, our programmes will boost productivity, customer satisfaction, and performance in the workplace. We’re proud to say we’ve been delivering learning and development solutions for over 10 years. Our talented team of 50+ associates provide 1:1 and classroom-based training for businesses across the UK. FOXY Lady Drivers Club is the UK's only motoring club for women. It was founded in 2004 by Sussex Mum, Steph Savill, after her daughter had a bad garage experience. Today the Club is run on a not for profit basis, providing a range of exclusive services so members can enjoy a better motoring deal as well as informed advice, information and support. The Club is funded by a wonderful network of FOXY Lady Approved garages, repairers, dealers and tyre centres for whom the FOXY standard has become a quality sign of differentiation, making them the go-to 'female choice' in their area.